Many small and medium Business have adapted themselves to the practice of backing up their data on the routine basis. Thereby Backups mean a lot for each Business admin. But, protecting the Data is alone not enough. Having the right monitoring tool pays a complete visibility layer more than just monitoring the entire backup environment. 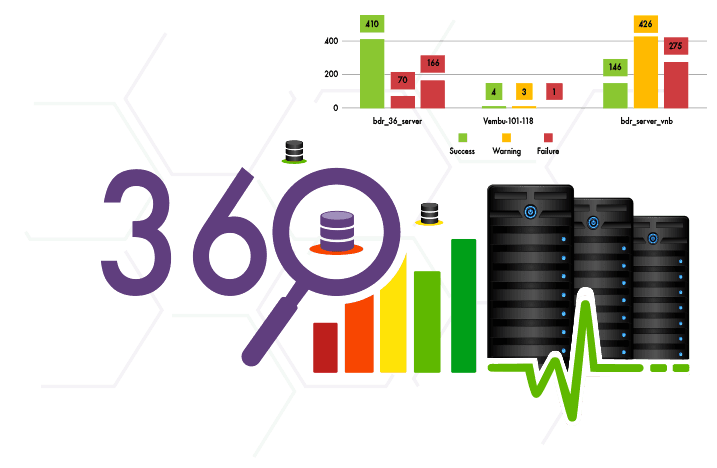 Vembu BDR360 is mostly liable to it, which provides a real time ability to monitor and manage your own backups within a centralized monitoring environment thereby it allows you to glance out the potential issues before the operational impact. Vembu BDR360 is a vital component designed to complement the Vembu Suite of Products. Alongside, Vembu BDR360 is the most cost effective centralized monitoring Console, exclusively made to consolidate all the backup status and history within the single console. This offers best in class solution for monitoring, alerting, managing, glancing and reporting the entire backup status environment.